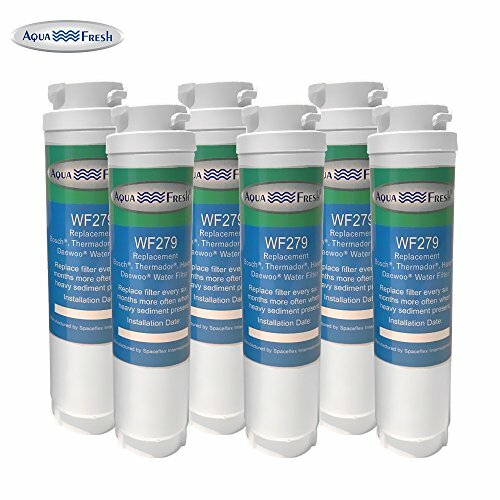 Also Replaces EFF-6025A, Tier1 RWF1180, Icepure RWF3100A. 1. Twist the old filter a quarter-turn counterclockwise and pull it straight down. 2. Push and slide the knob onto the end of the new filter. 3. Push the new filter into the fridge until it stops and twist the filter a quarter-turn clockwise. 4. Flush filter with 3-4 gallons of water until water runs clear. Some noise is not uncommon as air is purged from the system. EASY TO INSTALL: No tools required; ,perfectly fits the original without water leakage.